Hello Friends,I hope you all are fine.This time I come here with a damm cool thing. 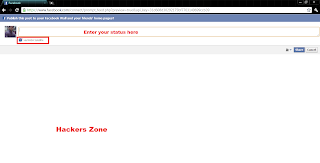 By this trick you can Impress ur friends that you are updating your status direct from NASA satellite. Well here's a very simple and easy trick to update your facebook status in a fashion way, via nasa satellite, via iphone, via blackberry and many other. 1. 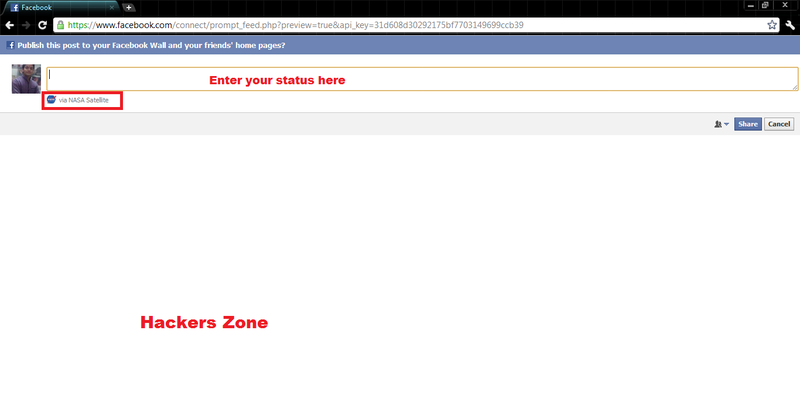 Open Facebook, sign in, and then paste following url in ur browser and hit enter. There are many other API codes which you can use to update ur status via many different ways. Just copy any code of ur choice and paste it after key= in above url. Hope you like the efforts. Enjoy and don't forget to share and comment.